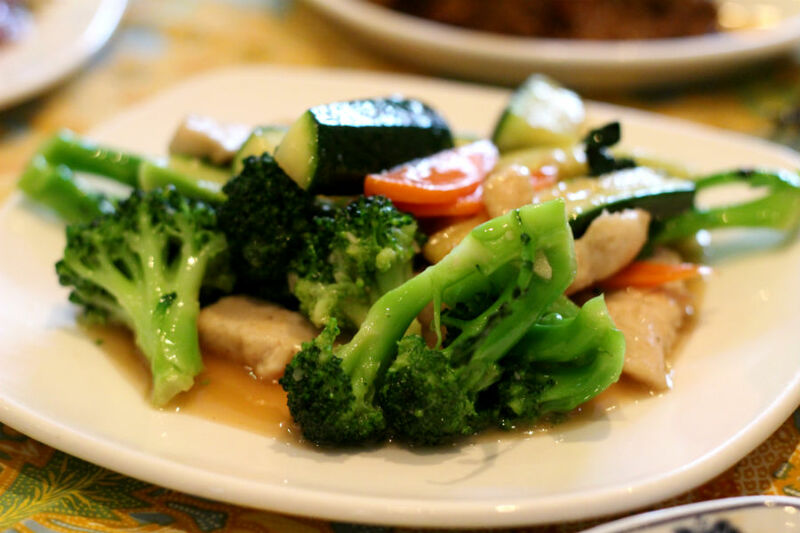 Compared to the UK, Holland is pretty well spoiled when it comes to Indonesian food as there are plenty of restaurants to choose from. 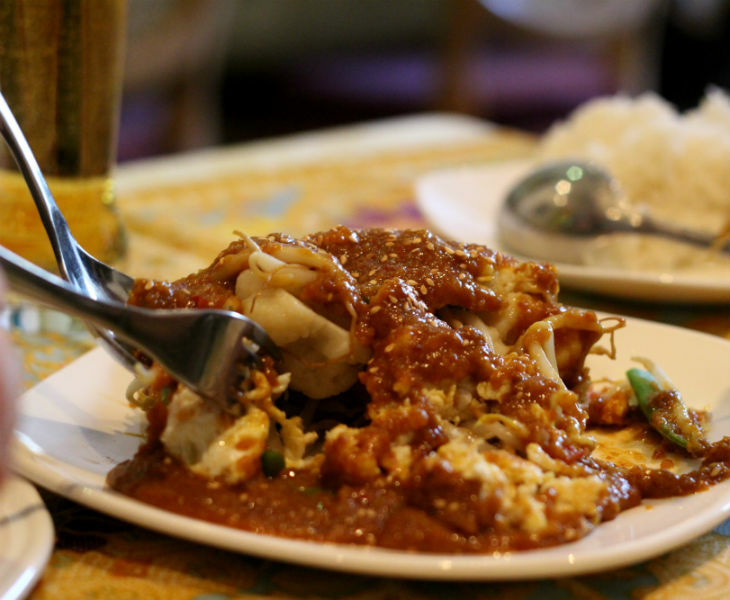 So when I heard about the Indonesian food at Nancy Lam's Enak Enak, I ubered straight to Lavender Hill here in Battersea. My parents, who had joined me, were quite excited as they love Indonesian food just as much as I do. The restaurant looked shut when we got there, but inside it was super bright. 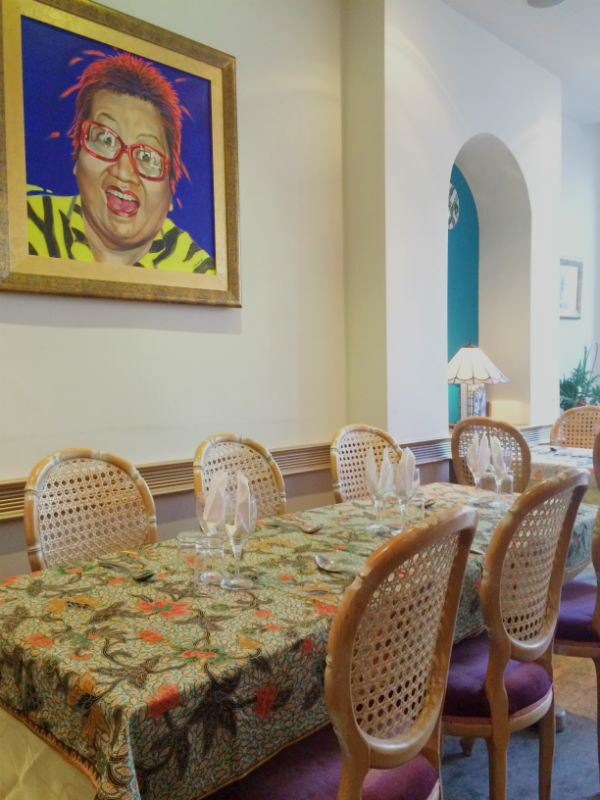 The tables were set with lovely batik table cloths and a painting of Nancy Lam was smiling down at us. We ordered some Thai(!) beers. (I guess it must be pretty impossible to get your hands on Bintang beers here in the UK.) 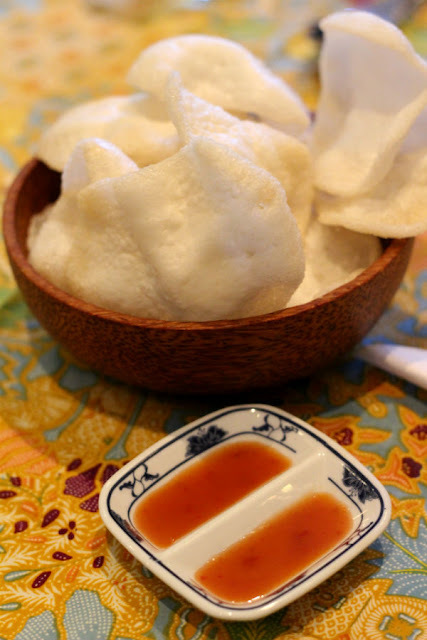 And nibbled on some prawn crackers with a spicy dip. The menu featured lots of our favourite Indonesian dishes, but some, like soto ayam, nasi campur and tjap tjoi, was missing. Nor was it possible to order a 'rijsttafel' which could best be described as Indonesian tapas. But we managed to find something regardless. My mom went for her all time favourite gado gado salad, which is usually made of potatoes, bean sprouts, green beens, potatoes and lots of peanut sauce. My dad opted for the chicken and vegetables in a sweet and sour sauce, and I chose the beef rendang. We ended up sharing the three dishes and they were all absolutely delicious. My mom and I shared the fried banana fritters which came with a scoop of mango sorbet. Stuffed as we were, we decided to leave the Uber and walked back down the hill, super thrilled that there is an Indonesian restaurant so close to where I live. Oh you will love it. I love it more than Thai and Vietnamese. And now there are two places in London! Ah, finally an Indonesian restaurant in London! Can we go back please :-)? Of course we can!! It's really close to where I live anyways. 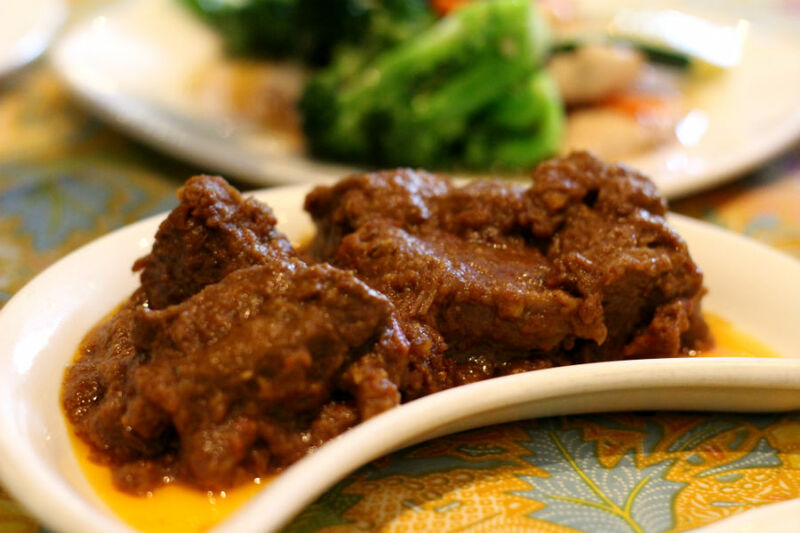 Omg you absolutely cannot beat a good rendang! I still haven't found a place near me that does an authentic version. London has all the good stuff :(! I know, right. I wish there was more of it here in the UK.